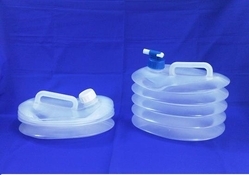 With breathe taking experience in the industry, we have been able to put forth a commendable assortment of Collapsible Food Grade Container - 2.5 Ltr, 5 Ltr ( Oval / Square). We fabricate the range using superior-grade plastic, which is sourced from the reputed vendors of the market. Besides, we make sure that the range is strictly in-line with the universally accepted norms & standards of quality. Our clients can avail from us a broad range of Containers Godrej Shape, which is manufactured using superior quality material. 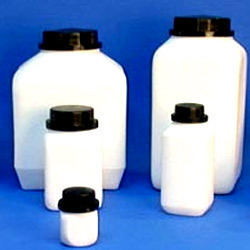 These products are highly durable and are suitable to be used for storing acids. 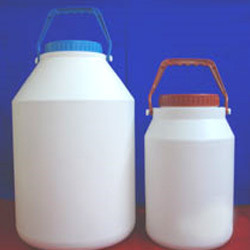 We offer these products in various storage capacities 250 ml, 500 ml, 1 liter, 2 liter, 2.5 liter & 5 liter. Our range of products is also accessible in customized options. We are instrumental in offering a compendious range of Gaucho Container-1Kg & 5kg to our clients. These products are manufactured using superior quality material, which is procured from reputed vendors of the market. Our range of products is applauded in the market for its chief attributes durability, excellent quality and leak resistant. 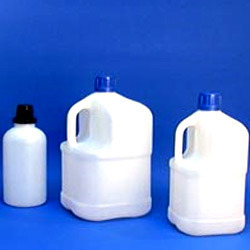 We offer our clients a broad range of Bottle For Hydrogen Peroxide Packing to the clients. 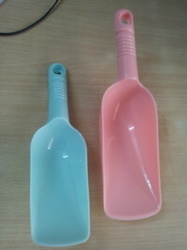 Owing to large production capacity, we can supply the bulk orders of these products with promised time frame. 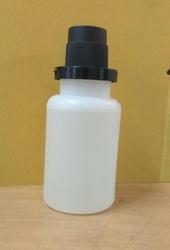 Our range of round-shaped bottles is available in storage capacities of 500 ml and 1000 ml. These products are also available in customized options, which are modified as per the specifications demanded by the clients. Available with us, is a qualitative range of Solid Packaging Square Bottles, which is manufactured using superlative quality material. 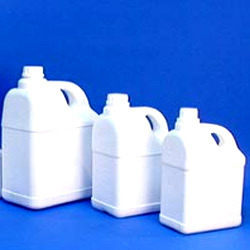 These products are available in varied storage capacities such as 75ml, 135ml, 250ml, 450ml, 570ml, 750ml, 1100ml, 1600ml, 2ltr, 2.5ltr, 4ltr and 6.5ltr. 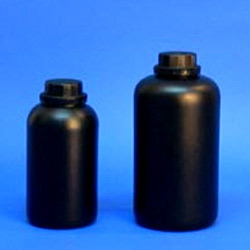 Our square shaped bottles are quality-tested and highly durable. Looking for Bulk Drugs & Fine Chemicals Packaging Products ?